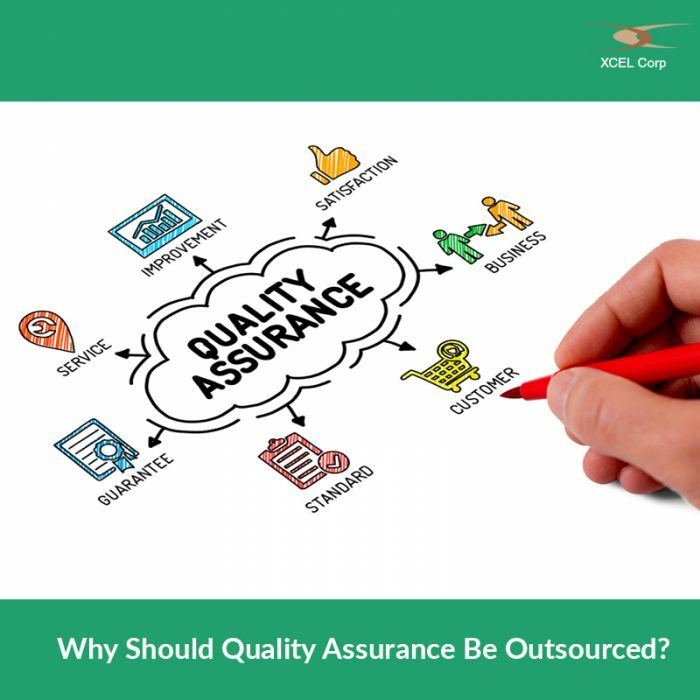 Why Should Quality Assurance Be Outsourced? Quality Assurance is the one of the most important periods in the lifecycle of software development. Through our pervious blogs and articles, we have discussed several things concerning Quality Assurance and Quality Testing Services. We have explained that Quality Assurance could bring amazing benefits to an organization and even boost their digital transformation efforts. Some of the advantages professional Quality testing could bring include preserving you businesses’ reputation, managing compliances better, know better ways to improve the product, and becoming highly competitive. But should you outsource Quality Testing to a vendor? That’s what we are here to find out. Anybody with little experience in software development would have noticed that software quality testing is more often than not outsourced. What advantages does outsourcing your Software Quality assurance have in the development of the project and your organization has a whole? While the advantages could be similar to the advantages that quality assurance services could bring, were are focusing only on the advantages of hiring an company or consultant for Software Quality testing. Moreover, software development is also a service that is increasingly becoming outsourced. Outsourcing quality testing could your way to test if outsourcing really works for you. When you are hiring someone outside your company to test the quality of your software is so that they could have an objective look at your products that your developers will not be able to have. This is the only way you can improve the overall quality of the software you are developing. It is only human nature that we cannot be the best critiques of our own work and it is hard for us to be objective on the errors we make. In an organization where you have the same team for development and testing, you can be assured that they are not being objective about the testing. Outsourcing QA services removes this risk completely. This is one of the biggest advantages of outsourcing not just Quality testing for but any aspect of software development for that matter. You get the exactly the specific expertise you are looking for in testing. QA service providers make your job easy by providing you with the right resource. You can either choose to get the people to work for you at your office or if you don’t have the right infrastructure, they can work remotely as well. This is a great way to gauge the ability of the QA service provider if you are planning to outsource more services from them. During the software development lifecycle, time is the most important and expensive resource. Irrespective of which software development methodology you are using, outsourcing quality testing would be a great way to save time. Instead of asking your developers to take time out to indulge them in testing, they could be put to better use their in development. Experts in QA are not only helping you to make use of your core resources more efficiently, but, they being experts in quality testing could complete the process in a much quicker time as well. When it comes to avoiding mistakes in custom software development, managing scope creep is the very important to ensure success of the product developed. When your focus shifts from the core objective of the software than the entire development process goes haywire. Experts in the industry would tell you that a major part of scope creep happens during the testing changes where people have ideas of making the product better. However with an external quality testing team, they testing the software from the end users’ perspective and keep the scope of the project intact throughout the process of testing. Once again, working from the end users’ perspective, outsourced testers would not be able to make changes to your source code preserving and protecting the integrity of your intellectual property. This should in fact be the primary reason to outsource quality testing services. In many companies, the developers trust their code to be perfect and skip the testing process entirely. Sometimes companies involve QA teams during the end stages of the software development lifecycle which could lead to extended times in development. With an Outsourced team, they could be involved right from the beginning and could spot and rectify bugs in the relevant time to ensure on-time project completion. XCEL Corp, based in Matawan, New Jersey is one of the leading providers of quality testing services in the United States. If you still have doubts in choosing the right Quality Testing service provider for your company, you can read our previous blog here. To learn more about XCEL Corp and the services we provide, visit our website now. Why Should Small Businesses Hire IT Consultants? How is Cloud Computing Changing in Recent Times?